When you’re getting ready to purchase your next vehicle, plan to shop ahead for your auto loan. How much can I afford? How much can I pay as a down payment? Do I want or need a cosigner? How much is my trade-in worth? These are all questions you should be asking yourself before shopping for the vehicle, according to the U.S. Consumer Financial Protection Bureau. To get started, you’ll need to create a budget, the CFPB says. If you’re going to run into financial challenges with the purchase, now is the time to figure that out. Budgeting before you shop for the vehicle also gives you a chance “to think about ways you can reduce the cost of your auto loan,” according to the CFPB website. That may include saving for a larger down payment, buying a less expensive vehicle, getting fewer add-ons, features or options, deciding if you want or need a cosigner and/or working to improve your credit score. And if you plan to trade in your current vehicle, you will need to figure out how much it’s worth. Then “you can decide whether to trade it in or sell it yourself,” says the CFPB. Exploring loan choices because hundreds, even thousands of dollars are at stake [Part 3]. Knowing what’s negotiable – and it’s not just the price of the vehicle or the interest rate [Part 4]. Understanding how to close the deal before you drive away [Part 5]. 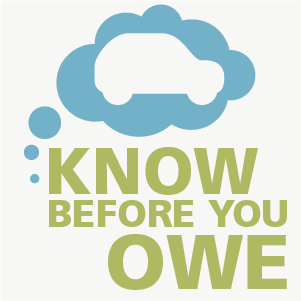 In other words, know before you owe. Is made-in-America label an outdated notion for automakers? It’s not enough for a vehicle to be assembled in the United States to be American made, according to a survey of shoppers by AutoTrader.com. Nearly seven in 10 Americans also think it must be produced by a U.S.-based company….